Geology Spring rise below the Main Limestone. Record Name Coverdale. Penhill South West Slope. Burnt mound at Slantgate Well. Record Description Large isolated* burnt mound. On eastern bank of small sike just below the spring line in open pasture. 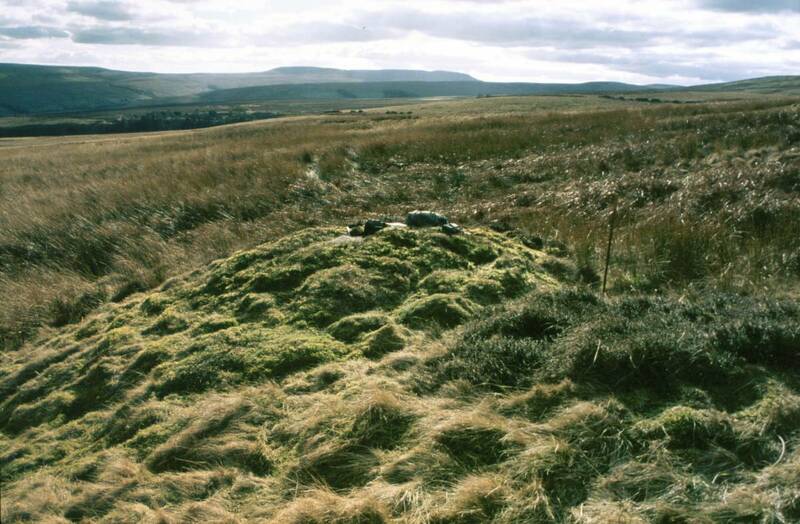 This burnt mound is prominent and can be seen from a distance. 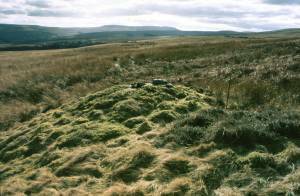 *No other prehistoric sites recorded in the vicinity except burnt mounds. 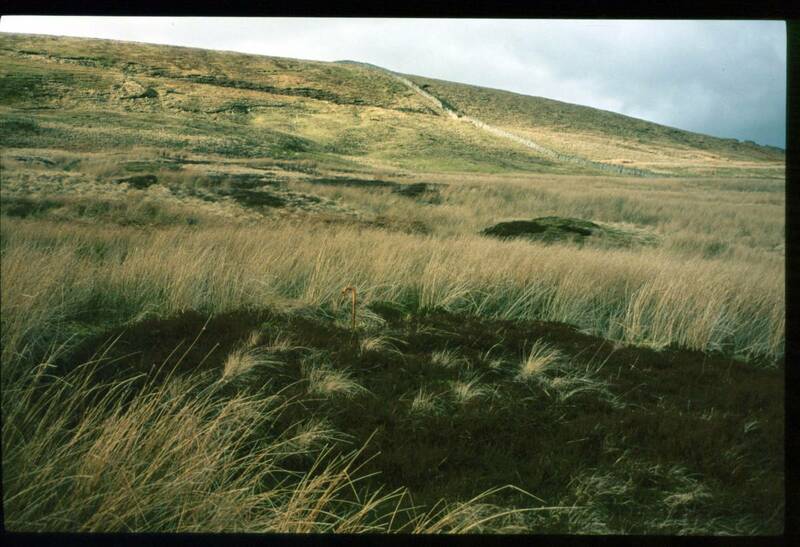 This large burnt mound, one of at least five burnt mounds on the southern slopes of Penhill was first noted many years ago and needs updated survey to determine whether other evidence for contemporary Bronze Age activity exists in this vicintity. Additional Notes The only evidence for prehistoric settlement and other activity located to date on the south facing upper slopes of Penhill are the five burnt mounds, see SWAAG Record Nos 54,55 ) a few lithic finds near the Mill Race and a slight field system on open moorland at around 400m on Little Penhill. Image 1 Description Slantgate Well Springs. View of the burnt mound and westward towards Coverhead.